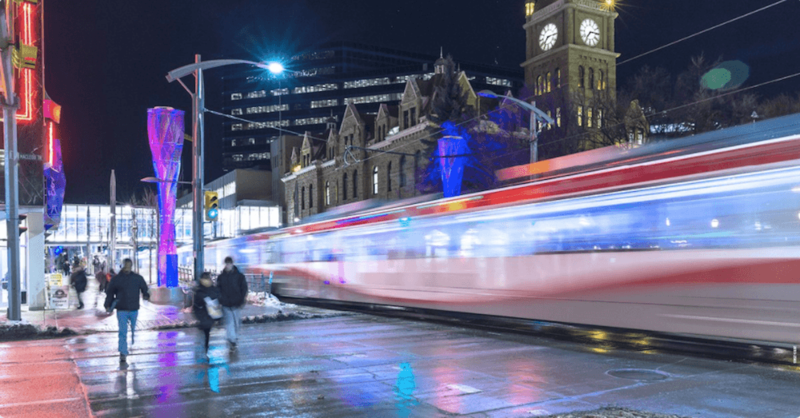 Calgary Transit is adjusting it’s hours of operation during the holiday season. On December 25, passengers will be able to ride busses and CTrains for free. Service hours will be slightly adjusted with Trains running every 15 minutes throughout the day, then every 30 minutes from 10pm to 12:30am. Busses will run ever 30-45 minutes on Routes 1, 3, 14, 20, 72, 73, 100, 300, 301 and 302. Check Calgary Transit’s schedules page to find out when your bus is running and stay up-to-date with changes to your route with Transit email alerts. The full schedule and details of Calgary Transit’s holiday service can be found on online. Saturday, December 24 – No changes to service. Friday, December 25 (Christmas) – Service is free all day. Monday, December 26 – Sunday level of service for both CTrain and buses. Sunday, January 1 (New Year’s Day) – Sunday level of service for both CTrain and buses.